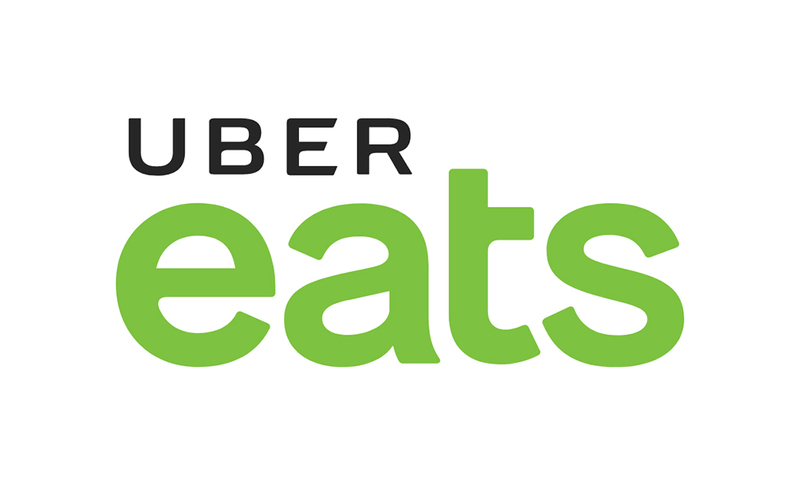 Johannesburg 3 September 2018: Uber Eats believes that eating should fit your lifestyle, whether that’s ordering a home-cooked pasta after a tough day at work or keeping the endorphins going with a smoothie after a morning run. It should also enhance your lifestyle; bringing you joy when you’re down, and energy when tired. To find out what foods South Africans eat to enhance their moods, Uber Eats launched a nationwide search to better understand the one language we all have in common – food – and how our eating choices affect our mood on a daily basis. According to the information gathered by Uber Eats, pizza is South Africans’ favourite Italian dish, with 80% of people making it their meal of choice and only 20% picking pasta. What’s more, 55% of folks celebrate a special occasion with an ice cream, while 45% do so with a milkshake. When it comes to showing each other love, 56% say ‘I love you’ with donuts and 44% with chocolate. 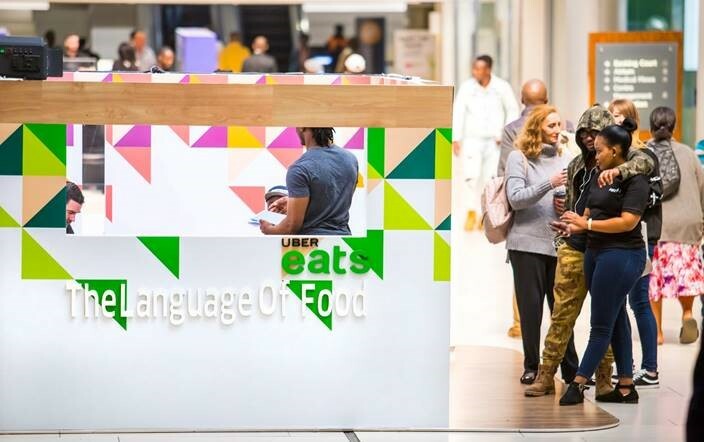 The food delivery platform took to social media and set up a booth in Sandton City, Johannesburg over the weekend of the 25th and 26th of August 2018 to discover how all South Africans ‘speak’ this universal language. 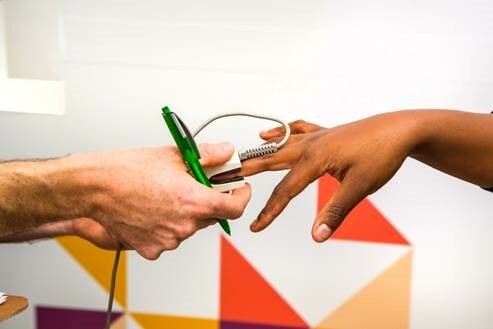 In Sandton, the Uber Eats crew – equipped with an ECG machine and a nurse named Nick – asked 104 people to order food via the Uber Eats app which could be brought to them to enjoy, delivered to a friend close by, or they could have the rand equivalent donated to a local charity. All this was done whilst measuring their heart rates at the time of ordering. The majority of participants (94%) opted to order meals for themselves, with the most popular food types being pizza (23%) and Asian (18%), with burgers, health foods and desserts all tying in third place with 14% of participants ordering these. So it seems that when treating ourselves, South Africans prefer to ‘speak’ Italian. While placing their orders, the survey participants’ heart rates rose by 8.44 beats per minute on average, with 27% having heart rates over 100 (the normal resting heart rate) – all of which reveal the excitement and anticipation that comes with ordering takeout (and getting a free meal). On social media, followers from around the country showed how they speak the Language of Food by taking part in polls. Each day between the 22nd and 26th of August, Uber Eats posed different questions and gave fans the chance to choose between two options. Among the insights gathered from these was that 53% of people feel most excited when ordering sushi for delivery, versus the 47% who get amped awaiting the arrival of a juicy steak. Another (unsurprising) observation gleaned was that 78% of South Africans turn to comfort food when feeling down, with 22% of us choosing something healthy instead. “Many Uber Eats users say they order food to enhance their mood – whether they are sad, happy, excited or tired – with the most popular orders for different moods including pizza and pasta for comfort foods when sad or tired, ice-cream and donuts to celebrate when happy and excited, and chocolate to say ‘I love you’. We wanted to find out directly how people react to food as well as educate consumers on the Language of Food that we all speak. From our research, we have seen that not only does food make South Africans incredibly happy, with upticks in heart rate, but that we are fluent in ‘Italian’ – pizza in particular. With Uber Eats delivering food from anywhere at any time to anyone, we can all easily speak the Language of Food,” concludes Ailyssa Khan, General Manager of Uber Eats South Africa.